Discussion in 'Bonus Spins - Extra Spins - No Deposit Bonuses' started by Ellis, Sep 16, 2013. MyBet Games has some Great news for you! 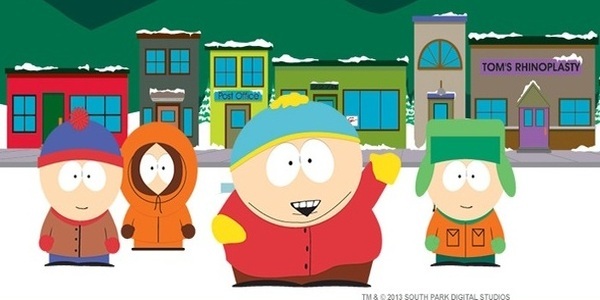 South Park Online Video Slot from Net Entertainent will be launched on September 24th 2013. And to celebrate this, they organised a Quiz where you can win 30 Free Spins. Visit their Quiz App on the Mybet Games Facebook Fanpage,become a fan and answer the questions! 50 lucky winners will receive 30 Free Spins on South Park Online Slot. A full list of winners will be posted on their Facebook Fanpage and winners get also notified by email from Mybet. Great Promotion from Mybet Games! Make sure you participate for your chance on 30 Free Spins on the new NetEnt Slot South Park! It's hard to wait for the South Park slot as a fan!!! You can get 30 free spins on South Park Online Slot from Mybet Games. Just vist their Facebook Page with the Quiz App.